My goto load for hunting predators and pigs is a hand loaded 75 grain Hornady BTHP. conventional wisdom says that responsivle hunters don't hunt with match bullets. I can attest that coyotes don't go very far if they take a step from a properly placed 75 grain load. they fly strait and hit like a freight train. Thanks for sharing. I've used 75gr Hornady BTHPs (Black Hills blue box) for varmints in the past. On some ground hogs, the results were great. However, last winter I shot a possum and it seemed like they were just punching holes right through him. I actually thought I was missing, then once he stopped, I noticed the blood trail from where I had first shot at him. I decided at that point to not use those on small game anymore. Now I have a good stockpile of 55gr ballistic tipped ammo for varmints and coyotes, as well as some of the new Sierra 77gr TMK loads from Black Hills for larger game. A BtHP tries to turn base forward once it hits something more dense than air. It needs a few inches to start to upset. For ground hogs, prarrie dogs opposums and such I would use the same stuff you use. The 75gr BTHP from Hornady is a great projectile for medium size game as it does need some time to start working unlike the tipped varmint projectiles which instantly fragment. 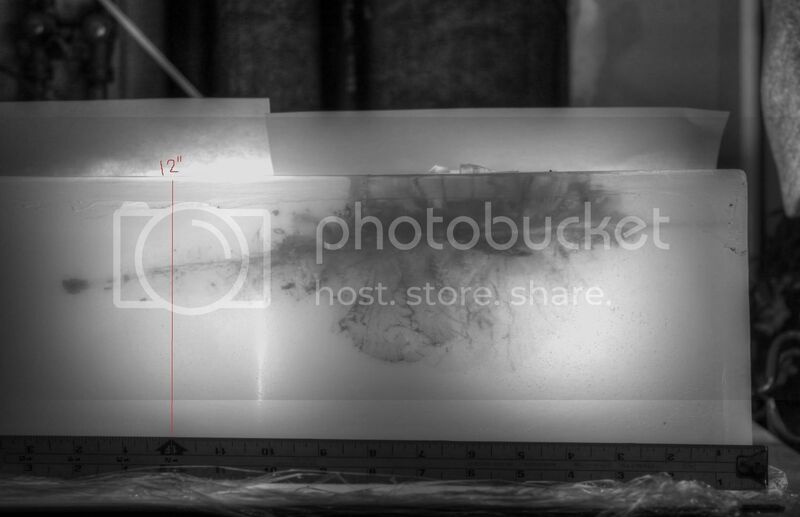 Nice gel photo, thanks IG. Thanks for the share/information. Has any one tried the G2 rip out trident ammo?